I love new cars but what I’ve learned is these glittering pieces of steel – if you cannot afford to pay with cash – can be detrimental to your future financial well-being. I’m not saying you can’t own a new car. I’ve owned a number of new cars myself and love the thrill of being one of the first to own the latest engineering marvel on four wheels. I’m suggesting a way to have financial security and own a new car. Years ago, before I married my lovely wife, I bought new cars, which usually had a hefty car payment to go with them. I owned (well, really the bank owned) a new 2003 Honda Accord. I loved driving it! Two years later Honda came out with a better design for the Honda Accord and I started to not like my new car as much, but I still had car payments of $350 per month. Although it was still nice to drive, the thrill of owning my 2003 Accord was starting to fade. Do you still want a new car? If the answer is yes, that’s ok. Let me show you a smart way to get there. Save up to purchase a used vehicle with cash, then take the amount you would have paid in car payments and save it in an investment account. If you are able to save the $94,000 and put it in an investment account that earns on the average 6% per year – that would amount to an extra $470 per month in earnings you could put towards a new car payment. 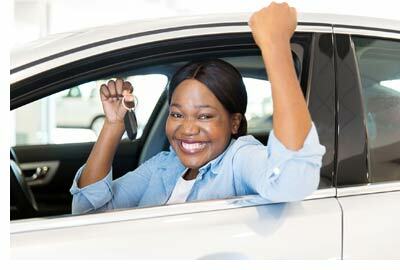 Consider paying a larger down payment on your new car, as it lowers your monthly car payments. Now let's say you started at age 25, but instead of making car payments, you put $350 per month away that earns 6% per year on average, and you increase your yearly contributions by 2% to keep up with inflation. By the time you reach age 55, you would have close to $420,000 and by age 65, you would have close to $1,000,000. If you managed to save $500 per month (earning 6% and increasing contributions by 2% per year) and your spouse did the same, by age 55 you would both have accumulated $1,350,000 and by age 65 more than $2,750,000! Now, do you see how your monthly car payment can have a dramatic impact to your financial future? There are a lot of strategies to buying a new car without going into debt. I presented one that you could use if you have your money working for you. If you would like to learn more about strategies to accumulate wealth and live a more stress-free life I would be happy to share them with you. Contact me today for a 20 minute meeting and I’ll show you how I help my clients live a more financially free life. This example is for illustrative purposes only. Situations will vary according to specific circumstances. These example values are before tax.